Touchpads are drastically different as compared to traditional computer mice. Almost all of the laptops in the market today rock Touchpads designed and manufactured by Synaptics, and the people at Synaptics are fully aware of the major difference(s) between Touchpads and computer mice. That being the case, Synaptics prides itself with integrating a few added features into their Touchpads – features capable of, to an extent, bridging the constantly decreasing but still significant gap in functionality between Touchpads and the average computer mouse. 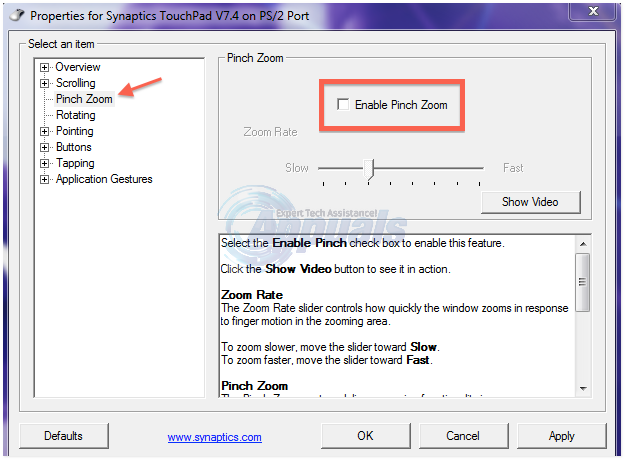 One of Synaptics’ Touchpads’ most valued and celebrated bonus features is the Pinch to Zoom feature. Synaptics’ Pinch to Zoom works much like the Pinch to Zoom on any phone or tablet – you pinch on the surface of the Touchpad, and your computer’s screen zooms in and out accordingly. 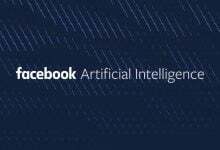 However, the company’s Pinch to Zoom feature has also become one of its most controversial additions to their Touchpads as it can, in many cases, lead to constant unattended zooming of users’ screens. Search the Control Panel for “mouse”. Locate and click on either Mouse or Change mouse settings in the results of the search. In the window that consequently opens, navigate to the very last tab – this is mostly named Device settings but may, in some cases, be named something else. Highlight and select your Synaptics Touchpad. Uncheck the Pinch to Zoom feature to disable it. Click on Apply and/or OK, whichever applies to your case. Once you do so, your computer’s screen should no longer zoom in and out when you touch your computer’s Touchpad. Note: If your laptop does not have a Synaptics touchpad, in the Mouse Properties window that opens up when you click on Mouse or Change mouse settings in the Control Panel, you may need to navigate to a completely different tab that contains the word Elan in its name. From this tab, click on Options > Two Fingers, uncheck the Enable box for the Zoom feature and then click on Apply and/or OK.